George Fox University professor Mark David Hall is adding another line to his résumé: Affiliated scholar at the Faith and Liberty Discovery Center in Philadelphia. Earlier this month, Hall joined a team of scholars that includes a Pulitzer prize-winning author, a legal historian and a member of a federal commission, among others. The goal of the Faith and Liberty Discovery Center, according to a release by GFU, is to, "explore the relationship between faith and liberty in America from its founding through today, illuminating the influence of the Bible on individuals in key historical and personal moments." 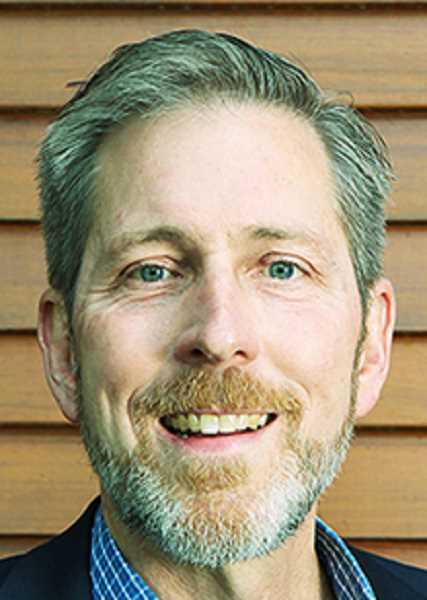 The center is unaffiliated with GFU, but Hall will continue his work in Newberg while consulting at the FLDC in advance of its 2020 opening. A 25,000 square foot exhibition will fill the building on Independence Mall in Philadelphia, featuring film, interactive media, photos and artifacts that teach visitors about the relationship between religion and liberty. Hall said he looks forward to the opportunity to consult and advise FLDC, and hopes to give a talk or two at the center once it is completed. "It's a natural fit for me and my scholarship," he said. "I've done a lot of work with religious liberty and the American founding. One of the arguments I make in my scholarship is that America's founders embraced religious liberty for religious reasons." Hall teaches on politics at GFU, including classes such as political theory and constitutional law. Next fall, he will teach a class called "Christianity in Politics," along with his year-round duties with the William Penn Honors Program at the private Christian university. He also has a book coming out in October of 2019. "Did America Have a Christian Founding? : Separating Modern Myth from Historical Truth" will be published by Thomas Nelson. The book delves further into the history of religious liberty in America – particularly how Hall claims the founders used religion as a guide for framing American democracy. In past essays, Hall has argued that the discussion about faith and liberty usually devolves into two extremes. One side of the argument, he said, believes the founders to be godly Christians who only drew from the Bible when crafting the constitution. Hall said that is an exaggeration that can be problematic when it comes to founders like Thomas Jefferson. Most of his book, however, provides criticism of the opposite argument: That America is a sole product of enlightenment and its founding was an entirely secular endeavor to create a godless institution. "It's common for scholars and popular authors to argue that Americans embraced religious liberty because they were rejecting their Christian and theological heritage," Hall said. "My argument pushes back against that and notes the influence of the enlightenment and I argue that they were often following the Golden Rule and drawing directly and indirectly from the Christian heritage." While he continues to put the finishing touches on his book, Hall will immediately contribute to the FLDC wherever he can. He said that while he makes trips east three or four times a year, he now has reason to visit more often than usual. In the release by GFU announcing the news, FLDC Director Patrick Murdock praised Hall's work and expressed his excitement about someone of Hall's expertise joining the group of scholars. "We welcome Dr. Hall's insight on how our nation's founders argued that religious liberty should be protected," Murdock said. "That aligns perfectly with our goal: to spark some thought-provoking questions with visitors, but, ultimately, encourage the visitors to determine their own answers."